SINGAPORE – JRunway, the first Japanese multi-label store in ASEAN, is excited to announce 25 new Tokyo street fashion and accessories brands making their debut in Singapore (retail stores) and entering into Australia, Indonesia, Malaysia, Thailand and Philippines (through www.JRunway.com); on top of the 11 brands that are currently available. New brands will include EGOIST, graniph, Peach John, Rosebullet, X-Large, X-Girl and Gundam Apparel. JRunway has grown to be the choice for fashion enthusiasts who strongly believe in the concept of individualism and enjoy shopping for their favourite Tokyo fashion at the comfort of their own home. 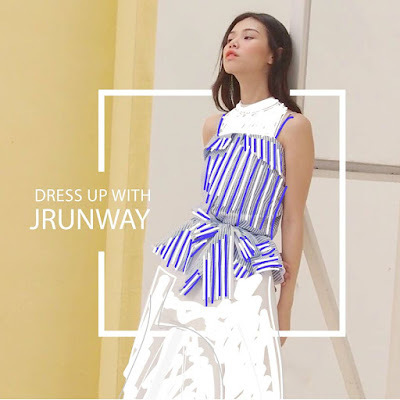 JRunway has also enjoyed the support from Fashion Influencers such as QiuQiu (Singapore), Tricia Gosingtian (Philippines) and Diana Rikasari (Indonesia). To celebrate this occasion in Singapore, JRunway is hosting a series of exciting events and contests. An official press conference will be held on 11th December 2015, Friday at JRunway’s flagship store, located at Plaza Singapura, 68 Orchard Road, Singapore at 6.00 p.m. METI, Ministry of Economy, Trade and Industry of Japan, is a proud supporter of this event launch and representatives will be on-site to grace the event. 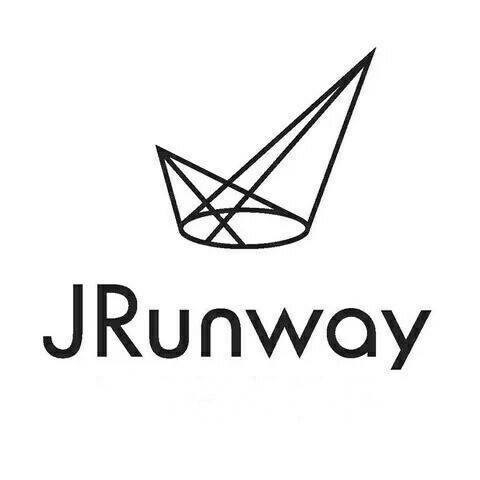 Senior management of JRunway from both Japan and Singapore will also be in attendance. On 11th December 2015, Friday, JRunway will be hosting a fashion show at their flagship store located at Plaza Singapura, 68 Orchard Road, Singapore from 7.00 p.m. JRunway has invited regional Style Influencers to select their favourite Tokyo Fashion Picks for their home countries. Fans of Chloe Ting (Australia), Camille Co (Philippines), Saranya Sathukijchai (Thailand), Michelle Hendra (Indonesia) as well as Brian See (Malaysia) will get the opportunity to mingle with them at this intimate event venue. One of Tokyo’s media-acclaimed multimedia dance acts, *Asterisk, will also be back in Singapore specially for this event. It will be their second time performing in Singapore since their last performance at Digital Fashion Week 2012. 5 lucky winners stand the chance to win exclusive invites to the fashion show event on 11th December as well as tickets to Japan when they take part in the Style Closet Tokyo look contest. 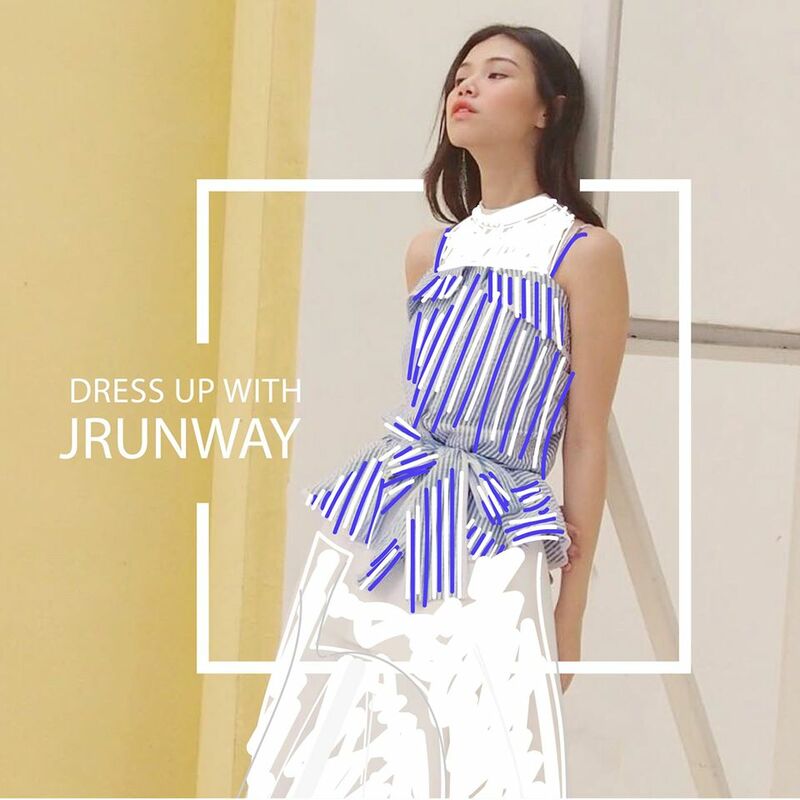 To qualify, users can visit http://bit.ly/1kUDKGN and simply upload their best styling photo onto their social media account with the following hashtags: #JRunway #JRunwayAMB and #StyleClosetTokyo. Win a free trip to Tokyo/Osaka! 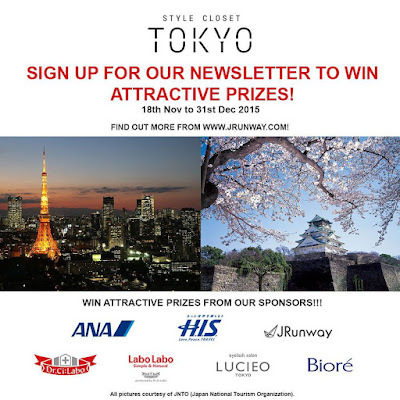 For the latest and most exciting updates on Tokyo’s fashion, one can sign up as JRunway member simply by visiting goo.gl/kQ4Ahu. Between 18th November and 31st December 2015, all new members will automatically be entered into a lucky draw contest and stand a chance to win attractive prizes. 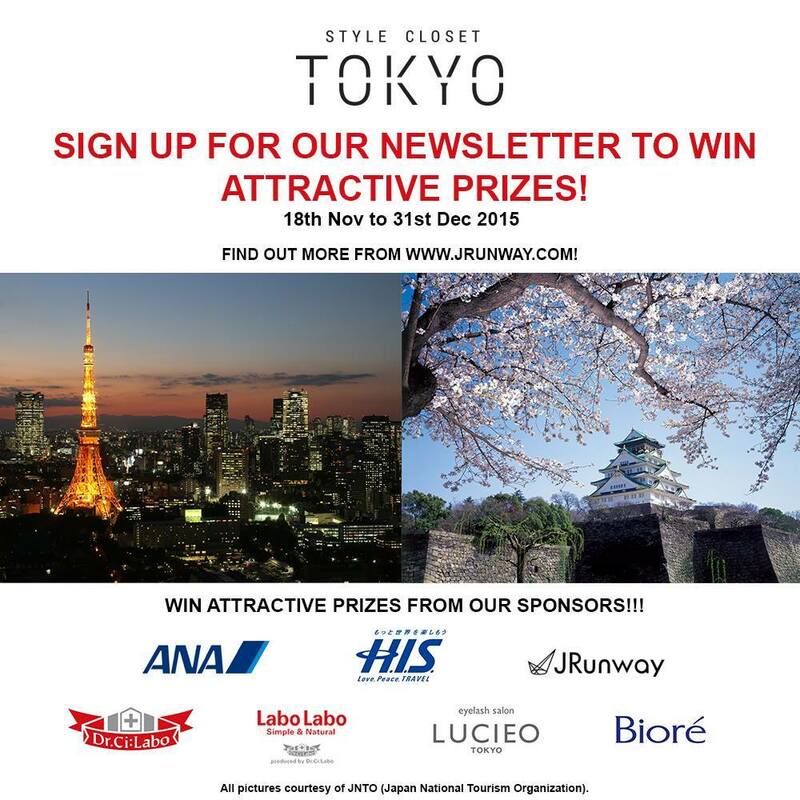 Prizes include free All Nippon Airway (ANA) tickets to Japan, hotel accommodation in Tokyo/Osaka from H.I.S. and $2,000 worth of prizes from Dr. Ci Labo, Labo Labo, Biore and JRunway! Winners will be announced on 6th January 2016. Existing and new brands’ collections are available at JRunway Flagship Store in Singapore and their e-commerce platform on JRunway.com, which delivers to Australia, Indonesia, Malaysia, Philippines, Thailand and Singapore!